Right across the street from Plaza de Cesar Chavez, the San Jose McEnery Convention Center is one of the premier convention centers near the technology mecca of Silicon Valley. Access a whole new clientele by upgrading to one of our premium trade show displays to make your impression while exhibiting in San Jose. Enjoy your time in this vibrant downtown and perhaps get inspired at the Tech Museum of Innovation that is across the street from the convention center. The future is bright! Trade shows present a unique method to meet new customers. By displaying your product offerings, your company stands a chance to obtain more views and brand name. Taking part in trade shows also aides in asserting brand loyalty and reliability among clients. Where is the San Jose Convention Center Located? The San Jose McEnery Convention Center is located at 150 W San Carlos St, San Jose, CA 95113. It is the largest convention center in Silicon Valley, making it the ideal location to exhibit esepcially for the technology sector! In order to maximize benefits and minimize costs during a trade show, a company has to make a decision on what they want to achieve. A company’s objective can be meeting new customers, making sales or getting customer data for promotions in future. This decision guides the type of trade show booth and design to adopt to get high returns on investment. There is need to choose the best trade show booth to attract more customers and have ample display space. 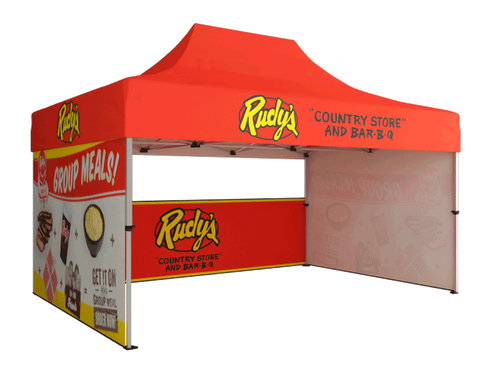 A good trade show booth can attract more customers and increase responsiveness. Before hitting the trade show, it is advisable to make a lot of advertisement of your products and at the trade show booth. Weeks before the show, the company should keep itself relevant to the potential customers and give directions to their booth. Undertaking an early awareness and advertisement campaign ensures more visitors to your booth on the actual exhibition date. It is thus important that the company plans for the mushrooming of visitors by having a spacious booth. There are a lot of benefits that come with brand show booths. They help give information about a product, whether new or currently existing in the market. This helps bring a brand closer to customers and give customers more information about the company. Overall, the need for the right trade show booth is quite important. The decision to invest in the right trade show booth attracts potential customers and helps the company establish its brand through customer loyalty.